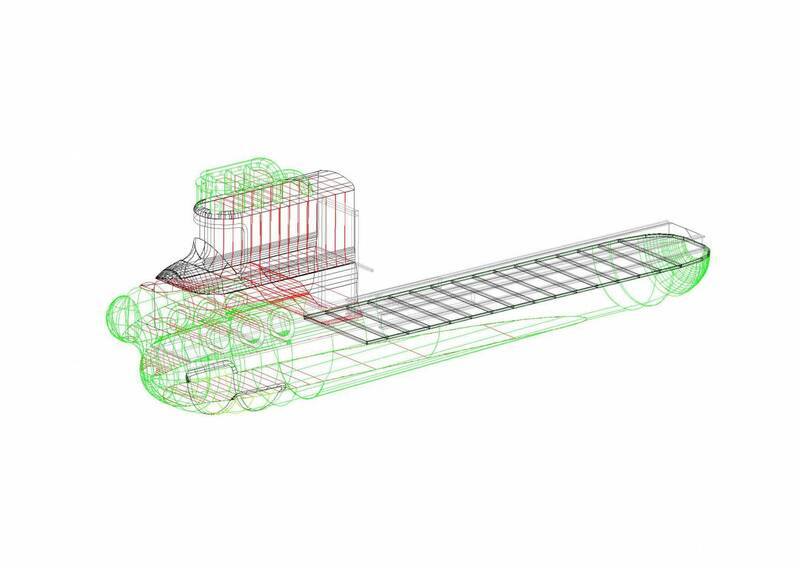 Due to the Yellow Submarine’s project, the architect’s office NHP found out that an inflatable is a perfect tool for the long term improvement of sites and events. The project lasted for three years on a permanent basis. Asked why X-treme Creations and the inflatable solution was chosen during the negotiations, the client simply answered that no other company would have taken this project to a good ending. 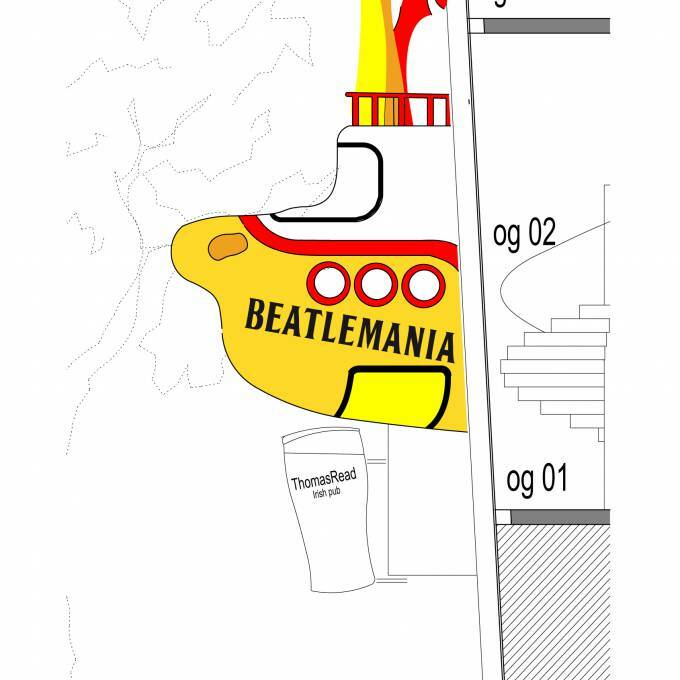 For the opening of the Beatlemania Museum in the centre of Hamburg, Ivo Muschik of the architects’ office NHP , partnership of the client FKP Scorpio, gets the order to provide an outdoor eye catcher. 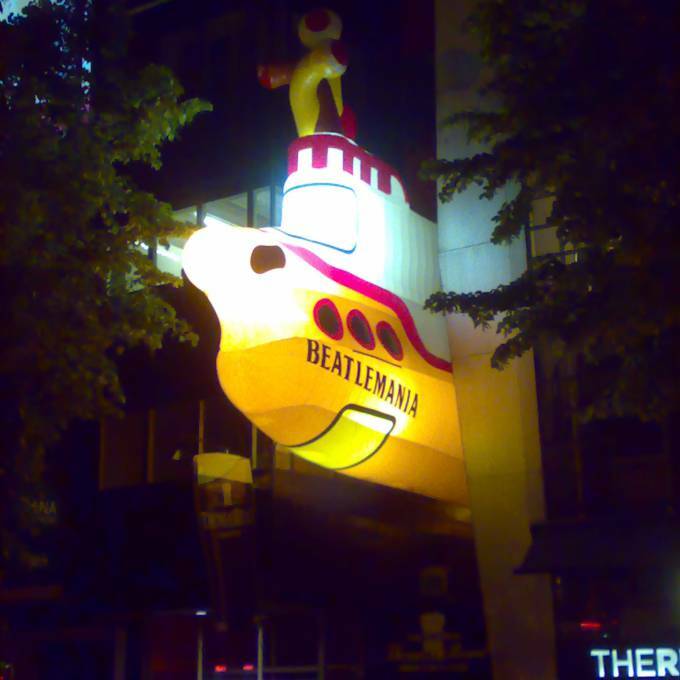 The Reeperbahn is one of the city’s widest avenues but the entrance of the museum can hardly be seen by the ten thousands of visitors that want to taste the ambiance of the neighbourhood where the “Fab Four” started their career on the continent in the sixties. 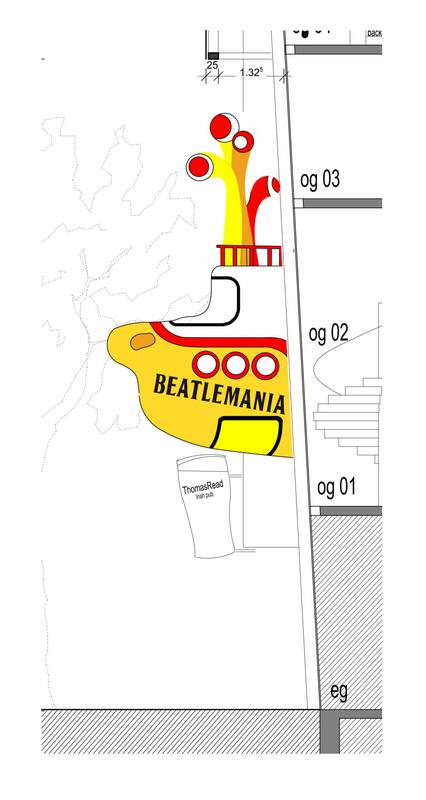 Based upon the construction plans the decision is taken to permanently place a submarine above the narrow, though 7 m high, entrance tunnel to the museum. 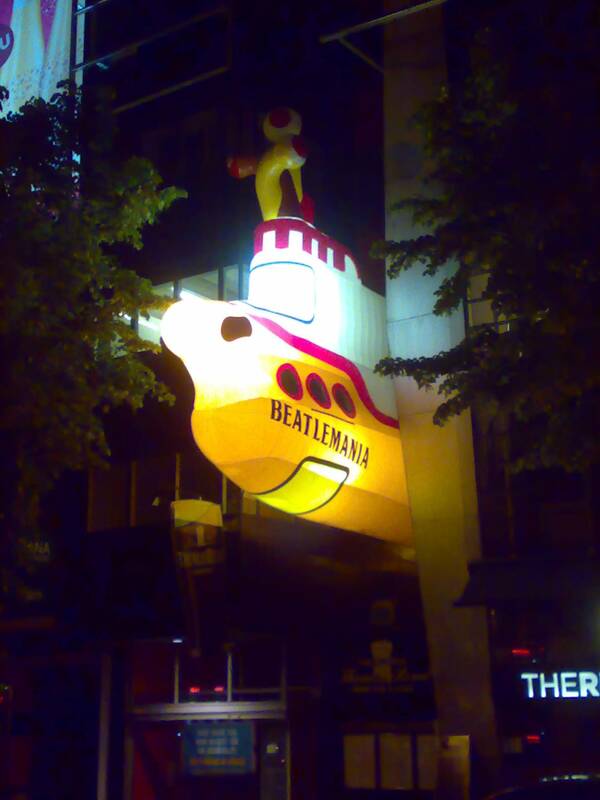 The only reference for the eye catcher is an image of the Yellow Submarine on the LP cover of 1966. For security reasons and in order to guarantee the resistance to heavy winds, the inflatable is designed in Cadcam combined with an internal metallic structure produced by BSS Metalbau in Lemgo. 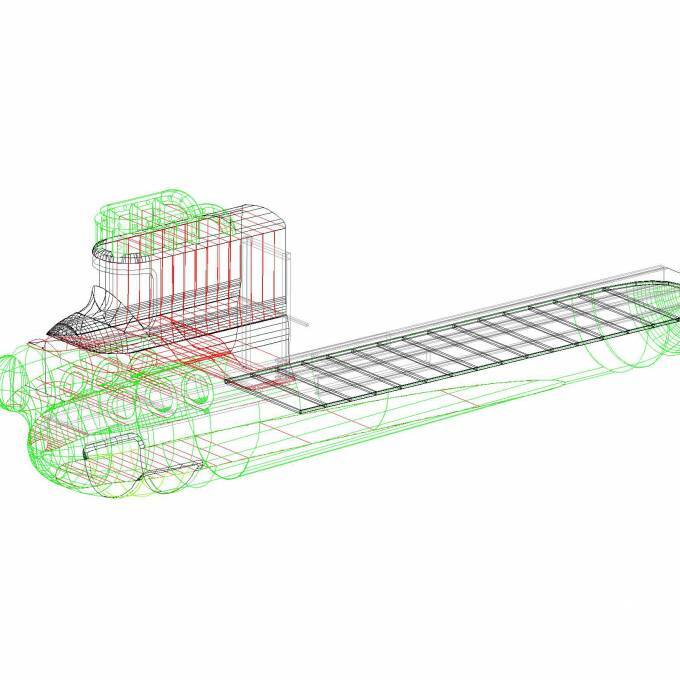 Eventually, the inflatable submarine measures 9 m height on 22 m length. 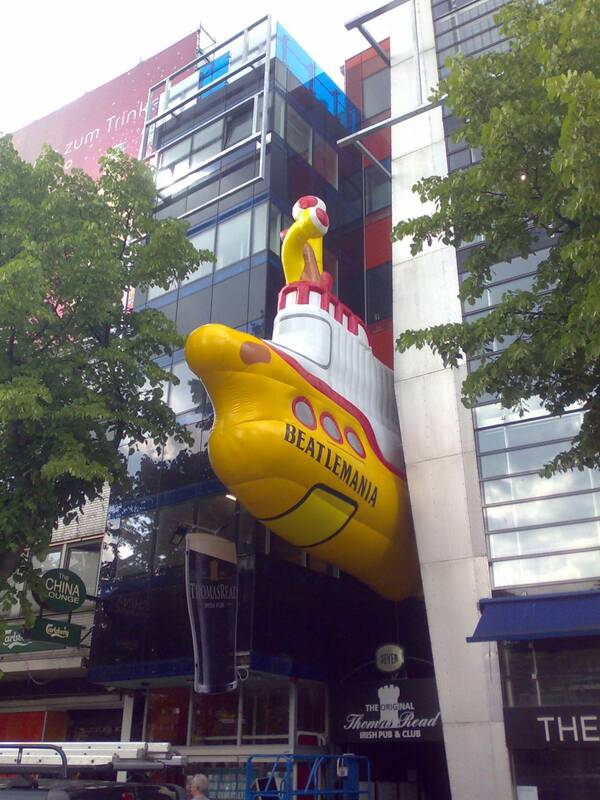 The yellow submarine inflatable can be lighted from the inside. 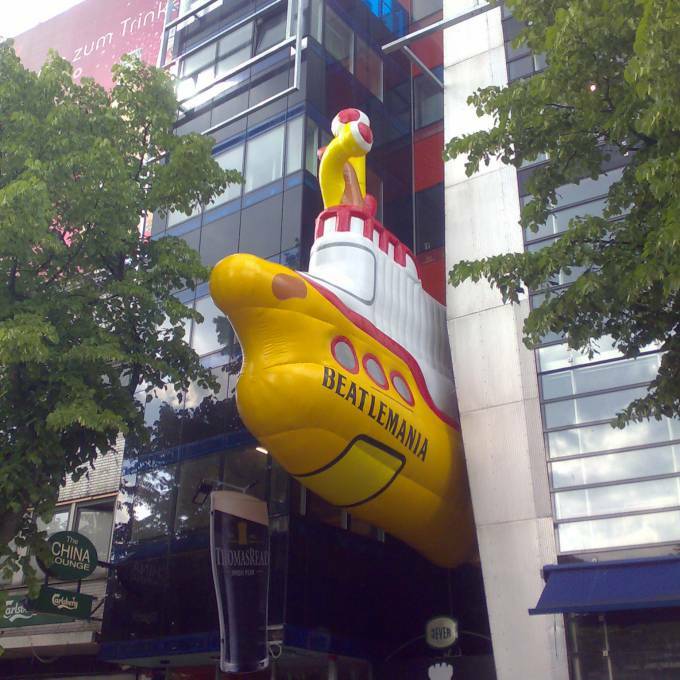 For thousands of tourists, it has uniquely shown the way to the Beatlemania museum. X-Treme took care of the calculation sheet and the additional precautions to be taken in case of stormy weather. Wow, this is something we want to create! X-Treme likes to collaborate with agencies, so we offer them special conditions. Garnish your event with custom giant or miniature inflatables! Make your fair stand pop out with large sized prints! 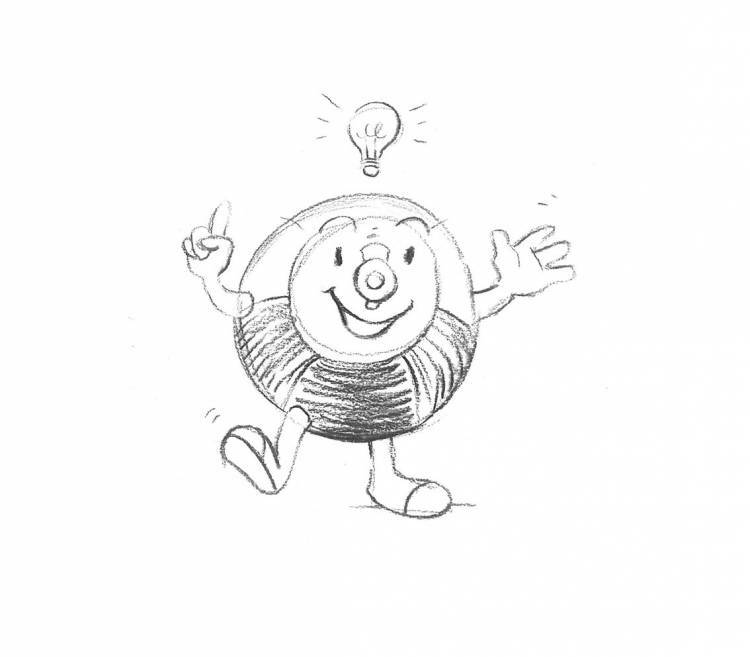 An innovative concept based on our ideas? No question is X-Treme enough.